This website is the property of Hong Kong Tourism Board, and is directed at UK residents only. Due to the nature of the software and the Internet, no guarantee is given of uninterrupted or error free access to or running of this website or the information-transactions conducted through it. Hong Kong Tourism Board shall not be liable for any failure in processing your details due to software or Internet errors or unavailability, or circumstances beyond its reasonable control. Hong Kong Tourism Board makes no warranty that this site is free from errors, defects or viruses. 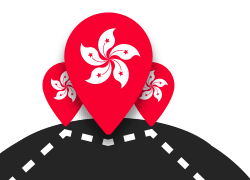 Whilst Hong Kong Tourism Board have no obligation to update this site, we will use all reasonable efforts to ensure that the information published on this website is complete, accurate and up-to-date, but representations or warranties are made (express or implied) as to the accuracy or completeness of such information. Hong Kong Tourism Board cannot accept any responsibility (to the extent permitted by law) for any loss arising directly or indirectly from the use of, or any action taken in reliance on, any information appearing on this website or any other website to which it may be linked. The website may contain links to websites operated by third parties. Such links are provided for your convenience only and we have no control over their individual content. Hong Kong Tourism Board therefore makes no warranties or representations as to the accuracy or completeness of any of the information appearing in relation to any linked websites nor as to the suitability or quality of any of their products or services.